About a month ago, I started thinking about Mason's 2nd birthday....how it was just two short months away. Cue mommy freaking out. Around that time, I also started seeing some of my favorite bloggers posting 22 month updates and 2nd birthday gift ideas. That's when I got an idea. I had seen some bloggers do a fun gift exchange around Christmas time and then again over Valentine's Day. At the time, I thought it was a fun idea and kind of filed it in my head for a "rainy" (aka sunny day here in CA) day. Now was that "rainy" day. I emailed the bloggers whose kid's birthday's fell within a couple month window of Mason's to see if they were interested in participating in a little blogger toddler birthday gift exchange. Everyone was really excited and totally on board. I mean, who doesn't like receiving presents in the mail? Especially when you get to see the excitement on your child's face when they open the present? Once I got confirmation from everyone, I set up the gift exchange through Elfster. If you've never heard of it before, Elfster is a way to set up a Secret Santa-like gift exchange. You plug in all of the names and emails of the people doing the exchange and Elfster will email the matches out to the participants. I was also able to set a gift price limit so we made sure to all stay within the same price range. Super simple and easy. The mamas were even able to create a little wish list if they wanted or to add comments about what their child's favorite things were or what size clothes they wear. It was a very user friendly service and I would definitely use it again for any future exchanges. Mason and I were lucky enough to be paired up with Laura's son, Liam, for the gift receiving portion of the exchange. We were so excited when we got the gift in the mail! It came one Thursday afternoon and I saved the gift opening for when we had more time on the weekend. And I'm sure glad I did because Mason LOVED THE GIFT and played with it for a solid 30 minutes straight. Now that's a win in my book! The card enclosed was from Liam telling Mason that the present was one of his very favorite toys and he hoped that Mason would like it too. Let me tell you, Liam is one smart kid. He knows how to pick good toys. It's too bad Liam and Mason live so far away because I think they would get along great! Especially with their love of cars. 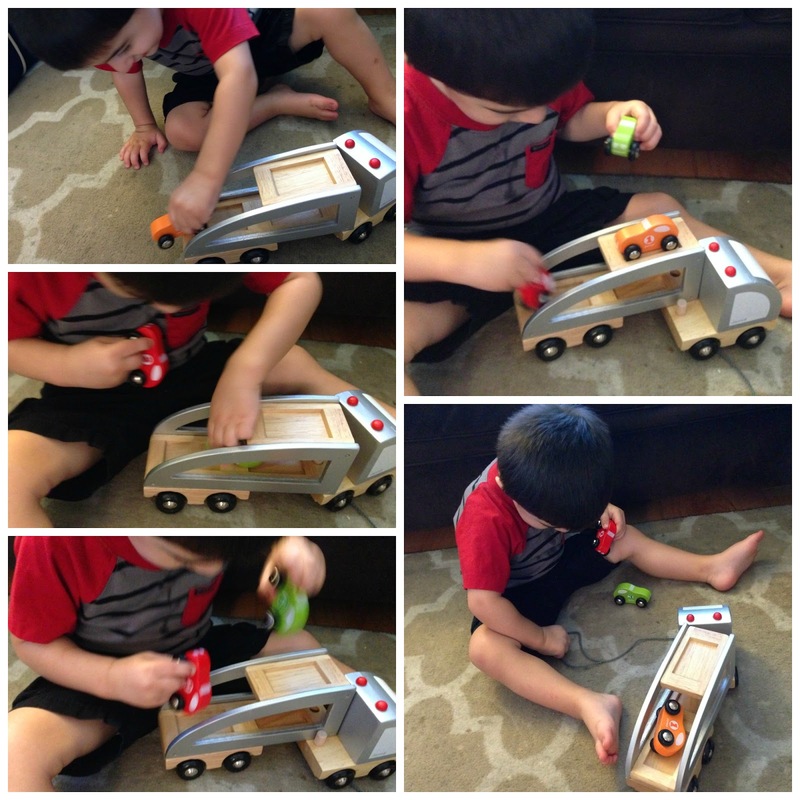 Laura and Liam got Mason the Janod Multi Cars Truck. 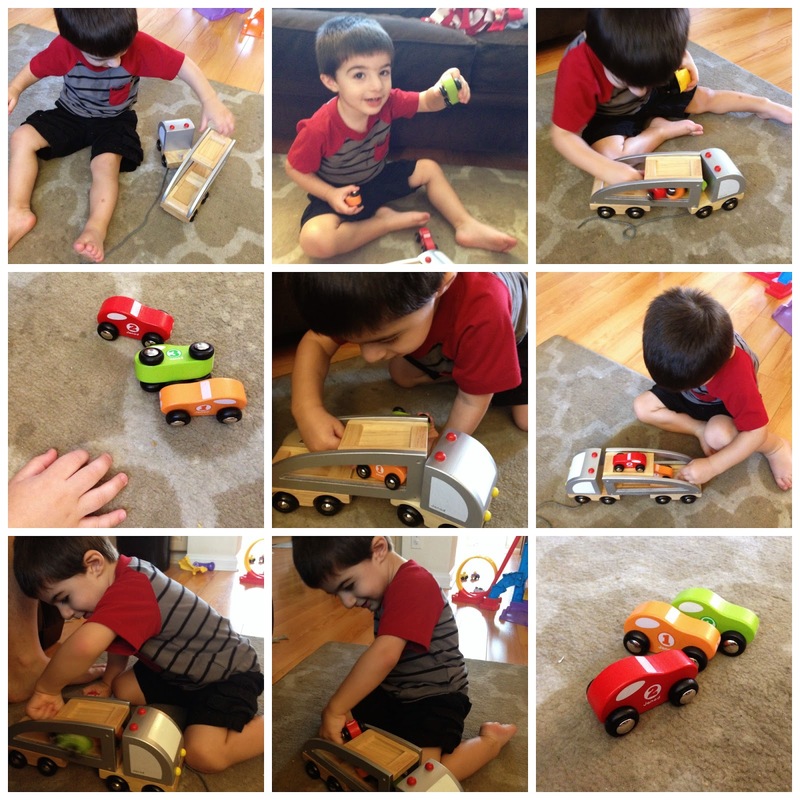 A lot of the following pictures are blurry because he was having so much fun playing, putting the cars in and out, and towing the truck around to sit still for a picture! Thank you SO MUCH Liam and Laura for the amazing gift! We love it! Mason and I were lucky enough to be paired up with Ashley's daughter, Waverly, for the gift giving portion of the exchange. It was really fun for me (and Mason) to shop for a girl! I'm so used to looking at cars and trains and planes and anything with wheels these days, that it was a welcome change of scenery in the store. Once I had all our goodies ready to go, I packaged up our present nicely and off it went! 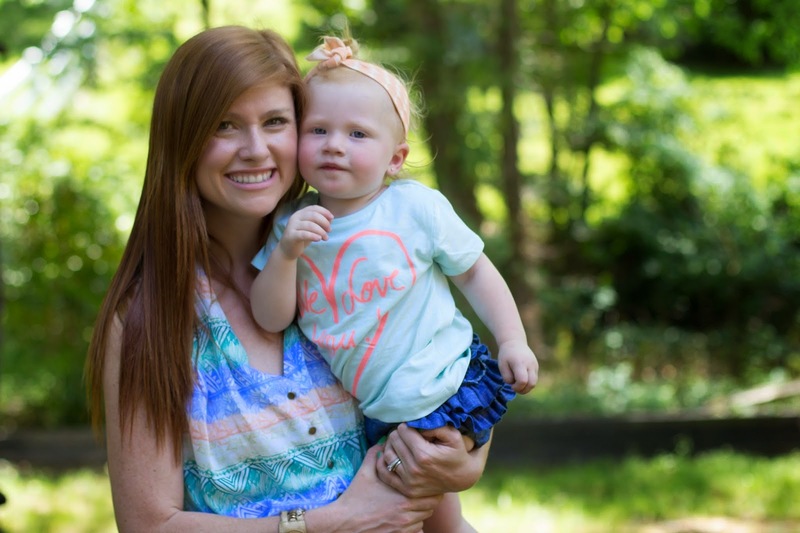 To find out what we got for Waverly, head to Ashley's blog, Words About Waverly and find out! A huge thank you to all the mamas and toddlers that participated in the exchange. The gift exchange was so fun and I hope to do it again next year! Wishing all of the toddlers a very happy birthday! And speaking of birthdays... I'm sharing Mason's birth story today for Baby Talk on Mama and Mou. 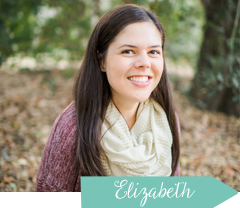 So hop on over to Kristin's blog and check out my guest post! Oh this is so cute and so much fun! I wish Noah had a summer birthday! Oh yay, we're so happy he loved it! And thanks for putting the exchange together, it was so fun! So fun!! I'm glad I stumbled upon this post! Lily is the same age as all of the birthday kids! (2 on 25th) so it's exciting to find some new blogs and get some gift ideas for future reference! Thanks for sharing! I LOVED this exchange! Thank you so much for including me and Mac! We had a blast picking out a gift to give and we absolutely love the one we received! Looks like Mason did too! :) Happy birthday babies! Great gift!! You can tell he is REALLY into it, so fun!! Yes, thank you thank you for organizing and including us, it was a great experience and the kids definitely got spoiled!! 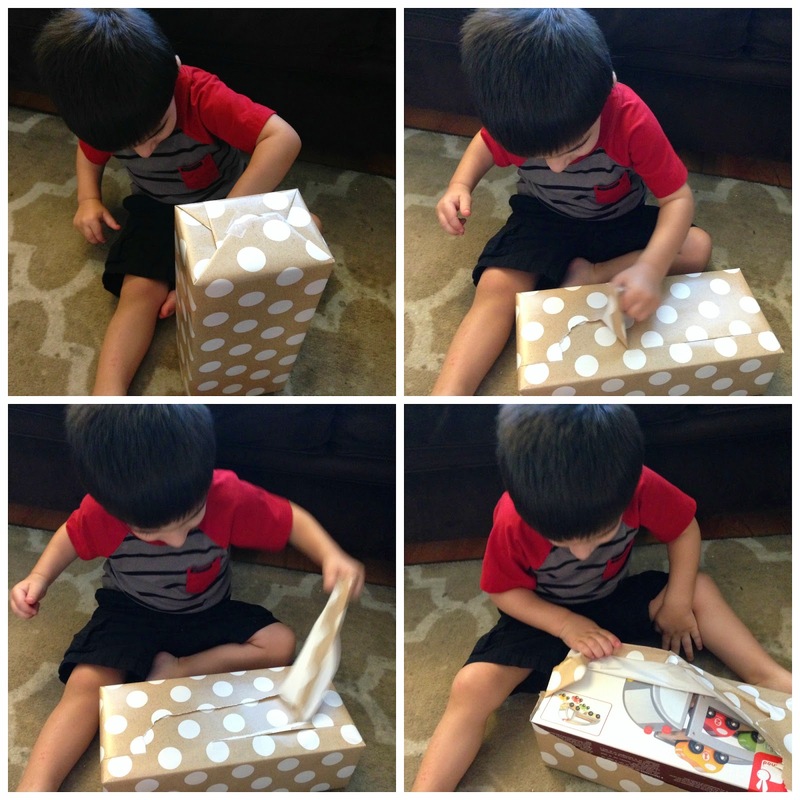 :) I just LOVE all the pictures of them opening their gifts. It's stuff like this, that makes the blogging community so awesome! Great job putting it together - happy birthday to all the littles! cutest idea ever! I haven't seen this one before. Too bad Aria is a few months too little! How cute is this!! He seriously looks so excited! Oh, that's so fun! What a fun exchange idea. 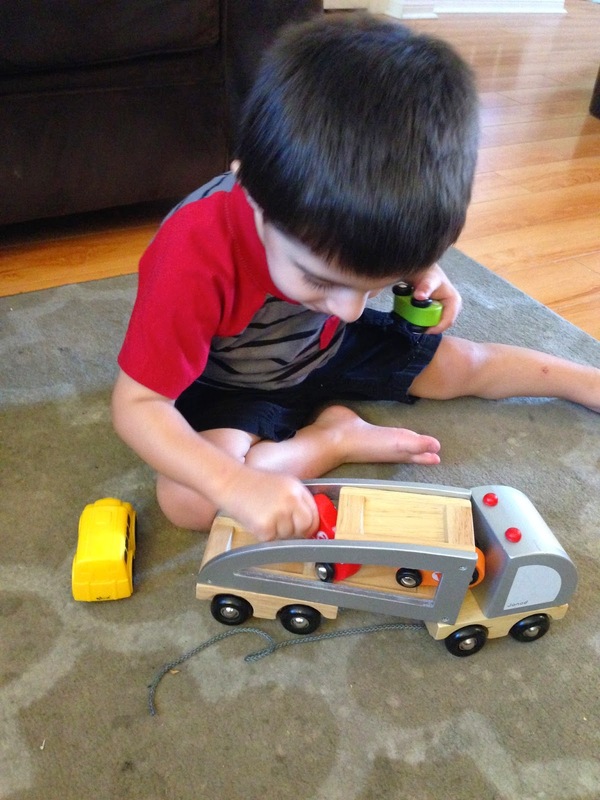 And the toy Mason received - AWESOME! Such a cool idea! It is so amazing the relationships that are built through blogging! 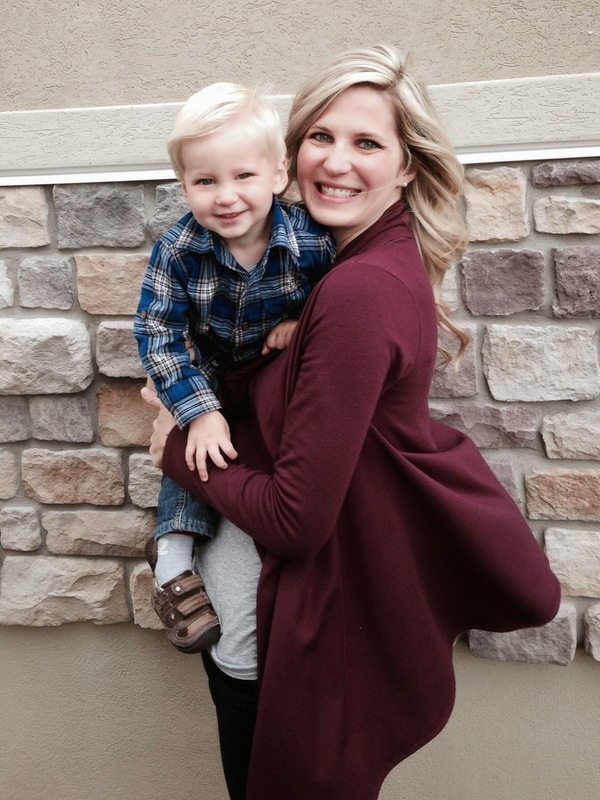 And to have so many other moms with babes all turning 2 so close is awesome! And receiving packages in the mail is the best! Love his gift too! How fun and what a neat gift he got! This was a great idea. I am participating in a "Christmas in July" exchange and I am excited.